How to validate configurable list using conditional logic? I am importing the data into a database and when people use a comma instead of a period, it messes up parsing the data. It would be great to prevent commas from being used. I have run several test on your form and i was able to come with a condition that would work with your form. 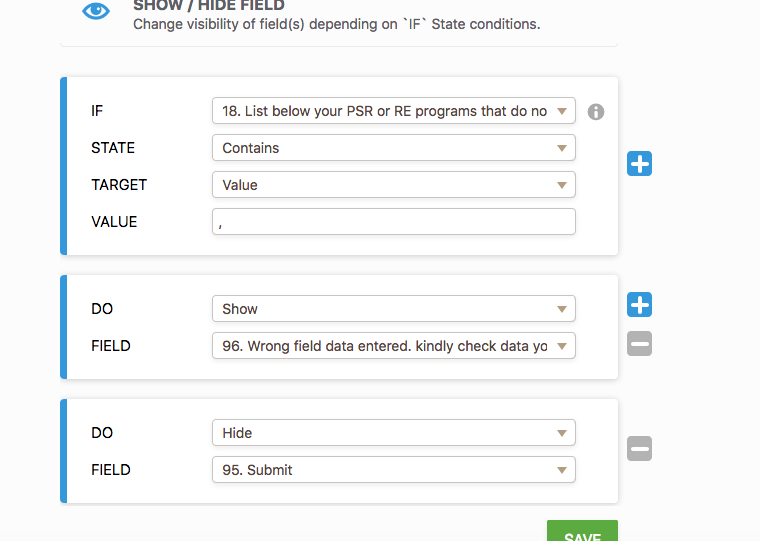 I have created a condition that would check if filed contains (,) and it it does contain it will hide submit button and display error message informing user to remove (,) in form field. Below is a form I created . Kindly feel free to clone and use the form.